Our clinic fills the gap between Ophthalmology and Neurology to improve vision loss from Optic Nerve Lesion and Retinitis Pigmentosa. Fedorov Restoration Therapy, a Breakthrough in Vision Recovery Treatment. 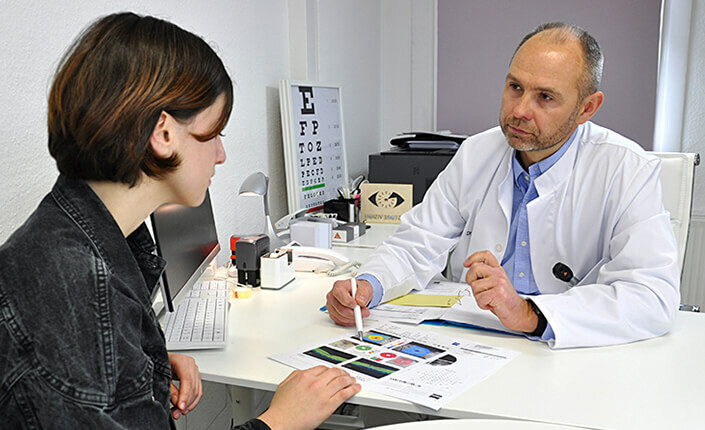 Restore Vision Clinic in Berlin was created to serve one purpose - to improve the eyesight of our patients. Our treatments help visually impaired people improve their ability to see the world around them. 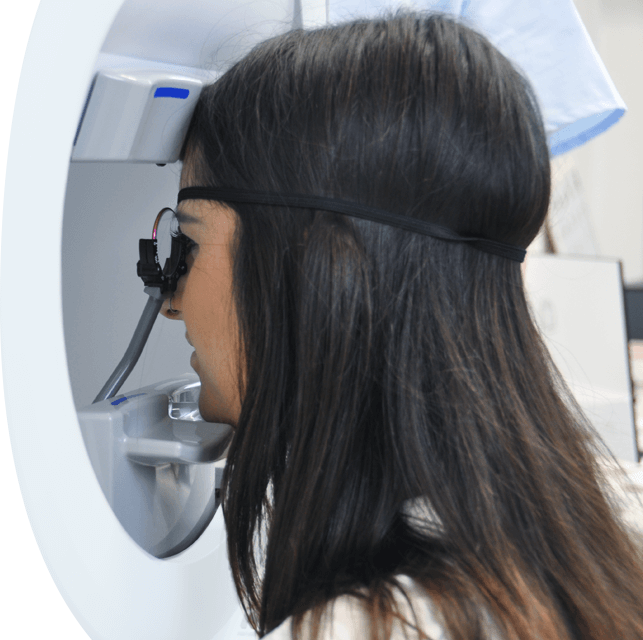 Fedorov Restoration Therapy is an interdisciplinary approach that combines the sciences of Ophthalmology and Neurology. This breakthrough in vision-recovery treatment achieves amazing results for many different types and stages of visual-function impairment. Long-term clinical experience combined with our knowledge is applied to each individual case. And treatments are customized to a patient’s need using the best course of electric stimulation to achieve top results. This is one of the reasons that more than 75% of our patients see improvement in their vision after a single course of treatment. Dr. Anton Fedorov - founder of the Restore Vision Clinic in Berlin, Germany and pioneer of therapeutic electrical stimulation therapy – has been treating patients and restoring vision since 1993. Not sure if you can benefit from Fedorov Therapy? My name is Kim. I was diagnosed with Retinitis Pigmentosa at a very early age. By sheer luck, I found Restore Vision Clinic in Berlin and received treatment there. I was so impressed with my results from June 2017 that I returned this May 2018 and again am thrilled with my results. My message is: "Don't wait." They've given me more than just vision. They've given me hope. I was very impressed with the professional care that I received at the Clinic. I have been diagnosed with advanced glaucoma. I received Fedorov Restoration Therapy which I feel was successful. At this stage, this has resulted in improved vision in my left eye. I am very hopeful to see better with my right eye in time as well. I am extremely happy with the results of my treatment in Berlin. I have had low tension glaucoma and have had continuous medication and monitoring. Since receiving Fedorov Therapy my night vision has improved enough. My eye glasses prescription changed. I need weaker glass and my glaucoma specialist says I appear to be stable. I am from Canada and was diagnosed with Temporal Arteritis. After therapy in Berlin, I have seen noticeable improvement in my eye sight, more clarity, and greater field of vision. Needless to say, I have great respect for Dr. Fedorov and Dr. Chibisova and their passion to help the visually impaired. I will be going back for a second round! There are no words to express the immense appreciation to Dr. Fedorov and Julia. Their ultimate goal is to help the unfortunate who have lost their vision. We just came back from Berlin, and I am so excited about the great improvement in my husband's vision after completing the two weeks treatment. 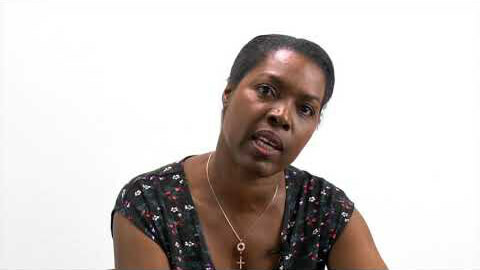 UK doctors told us there was no hope of recovering Alex's sight from optic neuritis. We spent two weeks in Berlin receiving the treatment and the very excellent, attentive care of both Dr. Fedorov and Dr. Chibisova. I am pleased to say that Alex is seeing great improvements which seem to be getting better all the time. We cannot thank them enough and we're so grateful. My husband is very happy with the treatment. The results exceeded his expectations. I’m a 19-year-old boxer. In February 2016, I lost sight in my left eye, and my dreams of boxing were gone. I got invited to Fedorov Restore Vision Clinic for therapy. With the 10 sessions complete, with the brain training that goes with it, I feel like my old self again. I owe everything to Dr. Anton Fedorov and Dr. Julia Chibisova, I have my dream back! I have just been to Berlin for two week's eye treatment. I was very impressed with the professional team at the Fedorov Restore Vision Clinic, and it has opened new fields in my limited Vision. The before and after field tests showed new fields of vision opening up. This will set me on a path to further restore my vision. I am thankful that I was invited for this treatment to help restore my vision. I recently completed the treatment. I want to express my thanks to everyone a Restore Vision Clinic for what they did for me. For the first time since 2016, I was able to see vivid colors. During my time at the clinic, I met several individuals from around the world who were told - sorry there is nothing we can do to help. That was not the case here. There was help and hope for all. 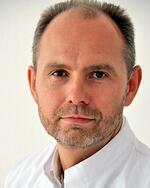 I recently visited Dr. Fedorov and his team in Berlin and was treated. I just finished it and gained some improvement. To those who suffer with this issue, I encourage you to consider this treatment option. I intend to pursue further treatments next year! I can't say enough about Dr. Fedorov and his team. In May 2017 I suffered from vision loss due to NAION that blurred the vision I had left and made me very ill. I did not have the depth perception or contrast to work. I was told from multiple doctors that the damage is permanent and untreatable. One year ago after therapy in Berlin I continue daily to adapt, heal, and notice improvement which would not happen until I visited Dr. Fedorov’s clinic in Germany. My dad lost most of his eyesight by NAION. He visited many doctors. It was a hopeless experience and none of them were helpful. Eventually, he spent two weeks in Berlin and received therapy with a positive experience. Two months later, my dad is very amazed by the outcome. He has gained his eyesight, although not completely, but much more than he expected. We definitely recommend the Fedorov Restore Vision Clinic in Berlin, Germany. The Restore Vision Center is an excellent facility! My dad has NAION and can see hardly anything, basically blind. After two months since therapy in Berlin he has regained 20% of his vision back. He is now able to see his hands more often, a silhouette of himself in the mirror along with many other daily life things. He plans to go back for another treatment soon and looks forward to the improvements to come! I have gotten to a bad motorcycle accident and I have only 10 % of vision. I lost my job, I couldn't afford my apartment by myself. After I got home after therapy in Berlin I noticed positive things - my colors have came a lot more clearer, my vision field has gotten wider - I can see more independent. My life made it so much better. I've become more independent . I can't say how much I appreciative about this place. Discovering the Restore Vision Clinic in Berlin has been an absolute godsend. "There are no words to express the immense appreciation to each and everyone at this Restore Vision Clinic. Dr. Fedorov and Dr. Julia are so professional and caring. Their ultimate goal is to help Their patient's recover Their vision. All I know is not true! I just came back from Berlin and I am excited about the great improvement on my husband's vision after Completing two weeks of treatment. Before the treatment my husband Could only see one eye on my face. "